Mac McAnally, the country songwriter, instrumentalist and member of Jimmy Buffett's Coral Reefer Band, has written a letter to fans thanking them for their support. Last Wednesday (November 8), McAnally tied Chet Atkins for the most CMA Musician of the Year awards. Then, the following Monday, he suffered a heart attack. 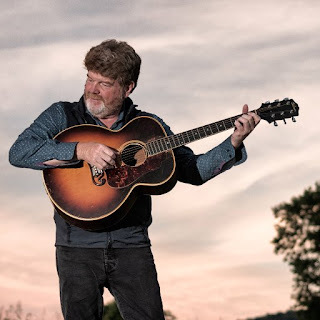 Today (November 21), McAnally took to social media to not only thank his fans for the congratulations on his ninth Musician award, but also for their support after hearing of his health problem. Hey Everybody. First of all I want to say how flabbergasted I am at all the good will sent my way over the last week. Friends and Family and Acquaintances and Strangers who just heard some music I was blessed to help make from all over this great land and across the sea. I’m so thankful for not only the prayers and kind words and the re-spinning of tunes and tales, but just for the notion that there is still so much good nature hanging around planet Earth. One might not get that idea just by checking random TV channels. It might seem like odd timing but…. I’ve never once doubted I’m a blessed and lucky guy. In the last couple of weeks I’ve been working in Hawaii and California and Mississippi and Alabama and Tennessee. Traveling and playing pretty much nonstop and loving every minute. I was looking so forward to our Hurricane Relief show this weekend and then to the Holidays and what would have been my first real time off in 2017. So the first piece of good luck Monday a week ago is that somehow my heart decided to wait til I got home to attack me. Second good luck charm… For some reason I decided for the first time in my life to call for help instead of “sleeping it off and see how I feel in the morning”. Freak luck. Fast forward. I’m home with a couple of stents in my chest and some old habits to discard. Feeling stronger every day so far. The moral to my story as far as I can tell is…. Every day we live is a blessing. I am lucky to have known this for a loooong time. My wake up call from the Big Sleep has just shown me there are many more ways to appreciate those days than I ever knew. I’m going to be about the business of that celebration and I hope to cross paths with you as you do the same. Here’s a head start to a happy Thanksgiving Holiday.